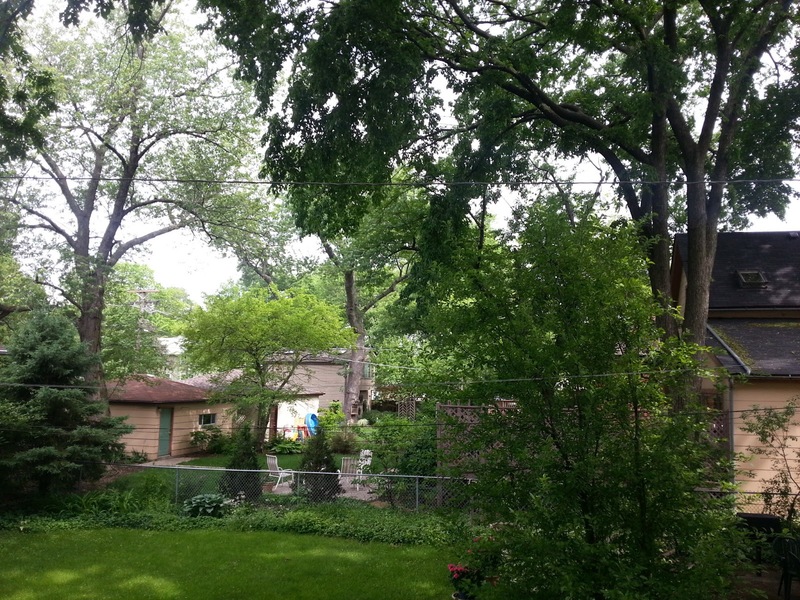 A huge sprawling tree covers the entire backyard of a prospective house. 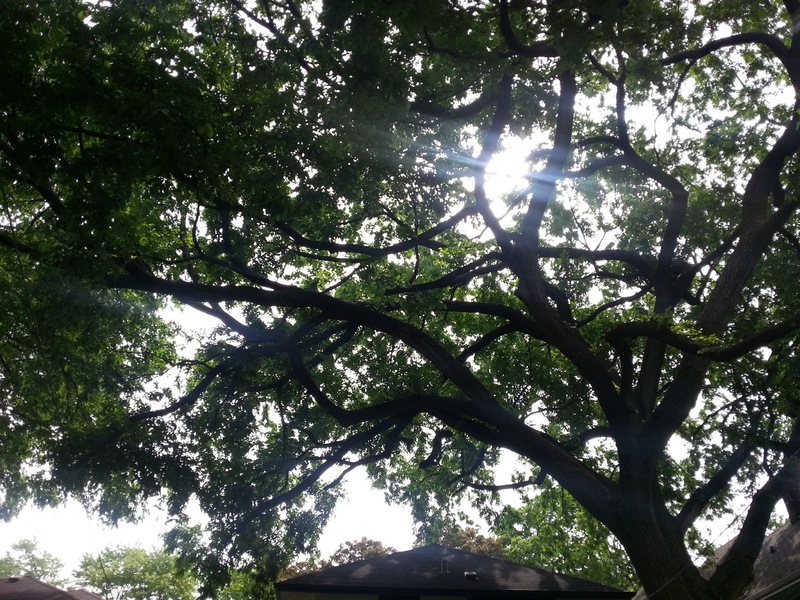 Mature trees and landscaping can be found in every direction on the 700 block of North Grove Avenue in Oak Park. I was in Oak Park this past Saturday with clients looking for houses in the $500,000 range. That brought us to one the greenest few blocks in Oak Park: North Grove Avenue in Horace Mann school district. I failed to get shots of the street this time around. However, one could not imagine a more down home and attractive street of landscaped classic houses! The blocks were a flurry of activity as owners cared for their trees, shrubs, flowers and homes. green in every direction (hiding any hint of the bustling village just yonder). Step into the woodsy environs of Oak Park!